The Mongolian National Education Accreditation Council (NEAC) invited IIEP-UNESCO to join hands in organizing a capacity development workshop for Quality Assurance (QA) officials on Internal Quality Assurance for national higher education institutions. The workshop took place in Ulaan Bataar from 26 to 28 April 2018, in collaboration with UNESCO Bangkok and with support from the Korean Funds-in-Trust and the Asian Development Bank. Over the past 25 years, the Mongolian higher education sector has undergone rapid transformation. From 1991 to 2017, the number of students increased from 20,000 to close to 160,000, representing a growth in the gross enrollment ratio (GER) from 14% to 69%. The total number of higher education institutions also drastically expanded during the same period, from 14 to 95 institutions. It consists today of 17 public, 74 private, and four branches of foreign higher education institutions (HEIs). The higher education sector therefore provides access to a high share of Mongolian youth. Despite this huge growth in the sector, policy concerns remain over the quality and relevance of higher education. A fourth of all higher education enrollments are in business education. Graduate unemployment is also a major policy issue given that an estimated 40% of higher education graduates are unemployed. In response, the Mongolian higher education sector is undergoing reform with support from the Asian Development Bank. The focus lies on academic staff development, research capacity, governance and financing of higher education, and the development of outcome-based education. The creation of a national qualifications framework is under discussion. The National Education Accreditation Council, existing now for some 20 years already, has recently made institutional accreditation compulsory for all HEIs, as will be the programme accreditation in the near future. Quality standards of the accreditation system have also recently been revised. Within this context of rapid change, the development of internal quality assurance (IQA) is very high on the national policy agenda in Mongolian higher education. IQA is expected to support the curriculum review process and the development of outcome-based education. However, a national survey has revealed that only 60% of universities have established QA units or have appointed QA officials. Furthermore, many of the IQA units are still under construction and lack a roadmap for their development. 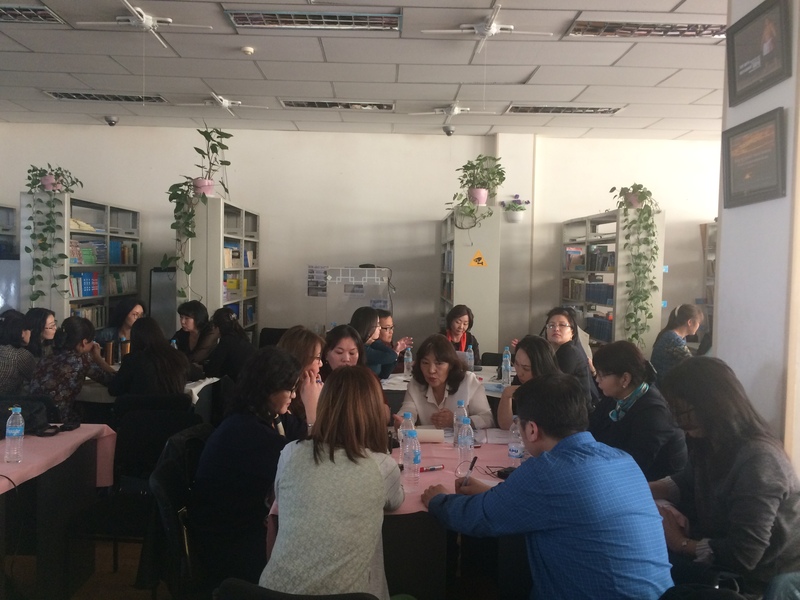 To help move forward IQA in Mongolia, approximately 150 persons participated in the recent workshop. They were mainly QA personnel from the 95 Mongolian higher education institutions, but also staff from the Mongolian National Education Accreditation Council. The workshop presented international good practices and good principles of IQA, national presentations on IQA experiences from the Mongolian university sector, and group work sessions to exchange on concerns and experiences with IQA in the participating universities. At the end of the workshop, the participants agreed on a roadmap for the development of IQA in their respective HEIs. The head of the National Education Accreditation Council, Ms Yanjmaa Ochirbat, announced the creation of a National Quality Forum consisting of QA officials of the Mongolian HE sector that will meet regularly to exchange on IQA experiences and issues among the Mongolian HEIs. The Forum will therefore be a welcome mechanism to support the ongoing higher education reform process in Mongolia. IIEP Strategic Debate: Can education systems anticipate the challenges of artificial intelligence?